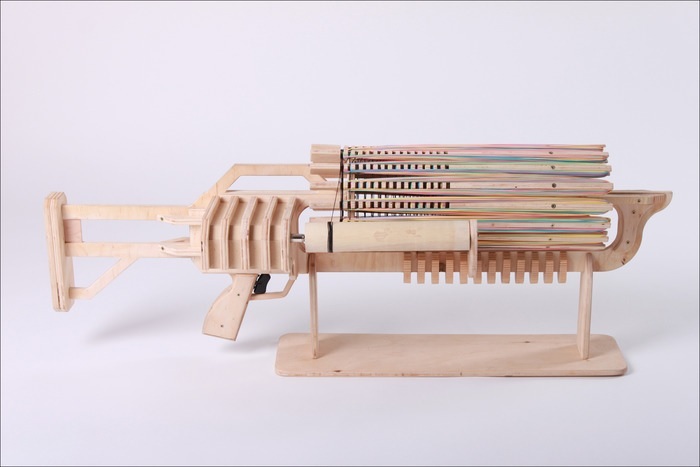 Rubber Band Machine Gun Will Make You Feel Like 'Rambo' | OhGizmo! The project is currently listed on Kickstarter, currently seeking $5,000, but it seems the product is quite popular At the time of writing, the creators managed to generate $47,537 with 25 more days to go. If you think this product can be useful, head over to the product page below and pledge for the project. You can also check out the video below to know more about the product.